MEET ROBERT C. NUCCI, M.D. Robert C. Nucci, M.D. has been practicing medicine in the state of Florida for over 20 years. Dr. Nucci founded the practice in Palm Harbor in 1995 after completing his spine fellowship training in Gainesville, Florida and his orthopedic surgery training in New York City. His focus has always been innovative solutions for orthopedic and spine injuries. He opened the practice in its current Tampa location in November of 2003. 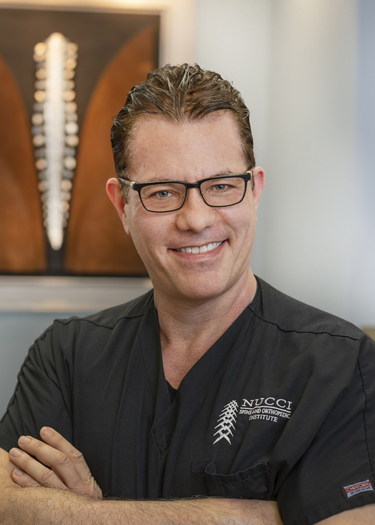 Dr. Nucci has served as an international speaker on minimally invasive spine surgery and was among an elite group of surgeons selected from across the country to appear on national television as the best and brightest in their fields. Dr. Nucci continues to lecture on the latest innovations in Spine and Orthopedic Surgery with a focus on outpatient procedures and early return to work. Dr. Nucci was one of the first physicians in the USA to make outpatient reconstructive spine surgery the standard of care. Dr. Nucci dedicates himself to Innovative Medicine and Old-Fashioned care™ for all of his injured patients, including: acute spine and general orthopedic injuries, slip and fall, auto injury, and workers’ compensation. MEET DR. DARIO GRISALES, M.D. Dr. Dario Grisales is an Interventional Pain Management Fellowship trained Anesthesiologist, who specializes in the treatment of chronic and acute pain. He completed his education at USF and has practiced in the Tampa Bay area since 1998. Dr. Grisales graduated from the Universidad Nacional de Colombia and completed his Residency in Anesthesiology at The University of South Florida. He progressed through his Fellowship in Pain Management also at the University of South Florida and has continued from then to dedicate his medical career to helping his patients achieve the best possible solution to their situation. With an award from The University of South Florida for “Best Preparation” and publications in the Journal of Clinical Anesthesia and Anesthesiology 2000, Dr. Grisales continues to excel at Patient Centered Care. 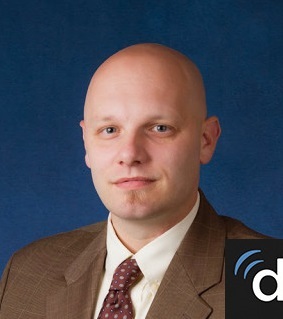 MEET DR. JASON G. HUNT, D.O. G. Jason Hunt, DO, is a board-certified orthopedic surgeon renowned for both his nonsurgical and surgical treatment options for athletes in Tampa, Florida. Dr. Hunt specializes in shoulder, elbow, hand/wrist, hip, knee, foot/ankle surgery. 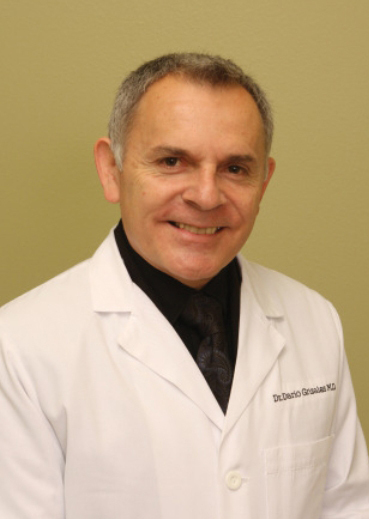 He is an active member of the American Osteopathic Association and the American Academy of Orthopedic Surgeons. Dr. Hunt is a published author, writing and presenting osteopathic and orthopedic surgery research at annual conferences around the country. At his Tampa office, Dr. Hunt uses the most technologically advanced surgical techniques, as well as the DARI motion capture platform, NeuFit electric stimulation, and TrackMan golf radar technologies.